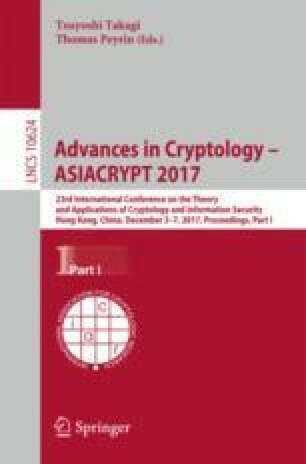 Fully-homomorphic encryption (FHE) enables computation on encrypted data while maintaining secrecy. Recent research has shown that such schemes exist even for quantum computation. Given the numerous applications of classical FHE (zero-knowledge proofs, secure two-party computation, obfuscation, etc.) it is reasonable to hope that quantum FHE (or QFHE) will lead to many new results in the quantum setting. However, a crucial ingredient in almost all applications of FHE is circuit verification. Classically, verification is performed by checking a transcript of the homomorphic computation. Quantumly, this strategy is impossible due to no-cloning. This leads to an important open question: can quantum computations be delegated and verified in a non-interactive manner? In this work, we answer this question in the affirmative, by constructing a scheme for QFHE with verification (vQFHE). Our scheme provides authenticated encryption, and enables arbitrary polynomial-time quantum computations without the need of interaction between client and server. Verification is almost entirely classical; for computations that start and end with classical states, it is completely classical. As a first application, we show how to construct quantum one-time programs from classical one-time programs and vQFHE. This work was completed while GA was a member of the QMATH center at the Department of Mathematical Sciences at the University of Copenhagen. GA and FS acknowledge financial support from the European Research Council (ERC Grant Agreement no 337603), the Danish Council for Independent Research (Sapere Aude), Qubiz - Quantum Innovation Center, and VILLUM FONDEN via the QMATH Centre of Excellence (Grant No. 10059). CS is supported by an NWO VIDI grant.